Along with serving as president, physician and a longtime member of the Packers’ executive committee and board of directors, Kelly also was one of the team’s biggest boosters and a friend to many players. One of the so-called Hungry Five that played a vital role in the Packers’ survival, Kelly helped organize the Green Bay Football Corporation in 1923. Kelly was elected to the Green Bay Football Corporation’s original five-man executive committee and 15-member board of directors on Sept. 17, 1923. He served on the executive committee until the Packers emerged from receivership and reorganized in 1935, and then later sat for another stint on the executive committee of the newly named Green Bay Packers, Inc.
Kelly remained on the board of directors until he announced his resignation in December 1949, less than a month after he and others tried to oust Curly Lambeau as head coach. Kelly was elected president of the Packers on Aug. 1, 1929, and served until June 13, 1930. 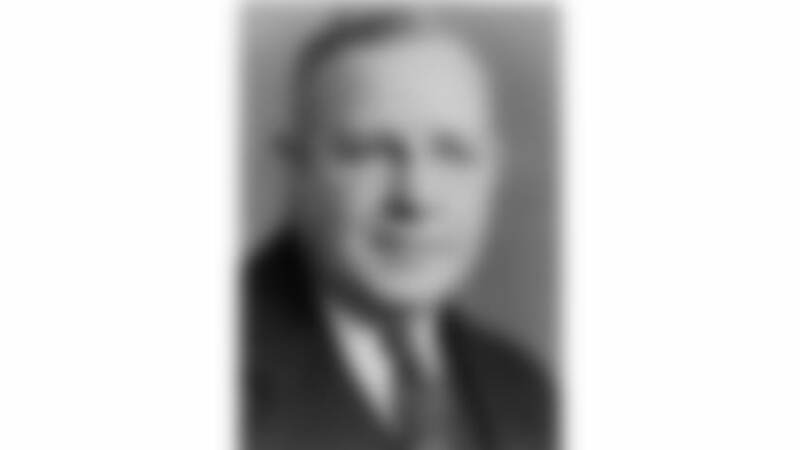 Even after he resigned, Kelly continued to serve the NFL as a member of its executive committee from 1930 to 1933. Born Dec. 7, 1875, in Kingston, Jamaica, British West Indies. Given name William Webber Kelly. He was a practicing physician in Green Bay for nearly 50 years after earning his medical degree at Bishop’s College (now part of McGill University) in Montreal. Died April 3, 1951, at age 75.